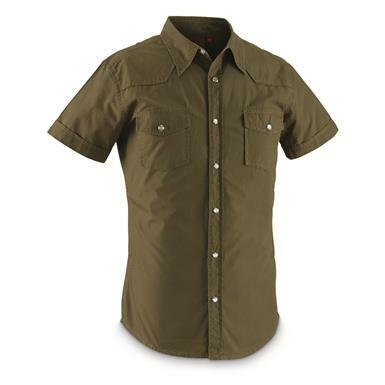 A design based on the Italian Field Uniform, this Short Sleeve Shirt adds a civilian-only upgrade in the form of pearlized snaps. Chest pockets give you 2 easy spots to stow gear. Lightweight construction helps you keep your cool. For hiking, camping, woodland exploration or urban day-to-day good looks. Snag yours today! Hurry, quantities are limited! 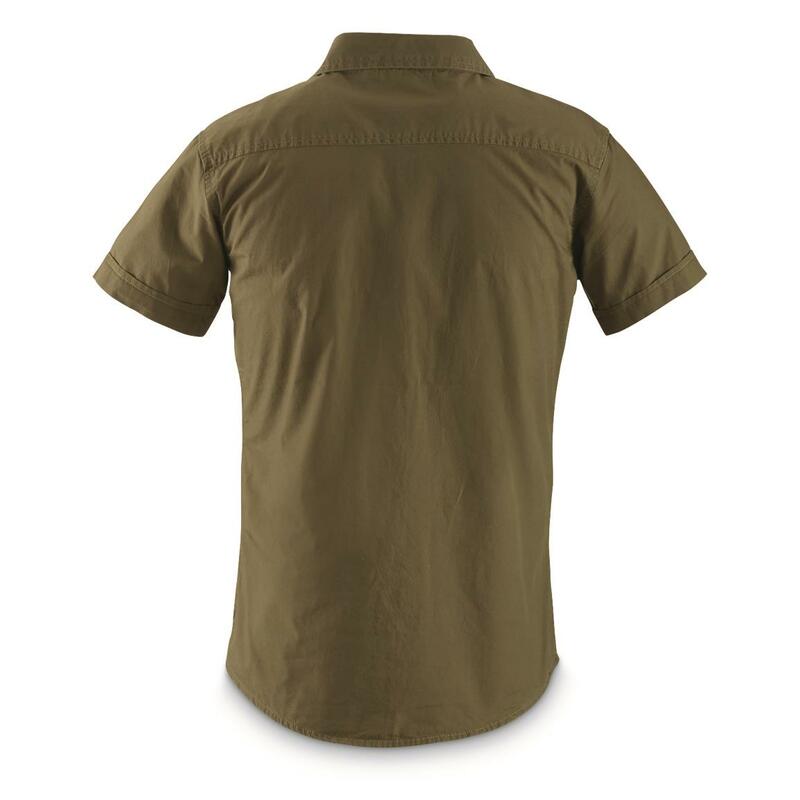 Italian Military Style Short Sleeve Shirt is rated 3.0 out of 5 by 3. Rated 3 out of 5 by JL12 from Runs at least an entire size small. Looks nice though. Normally medium shirts are a bit baggy on me. 37" chest. Ordered a medium and it isn't even close to being able to be buttoned on me. I need at least an L if not XL.This is definitely meant to be a casual shirt. Very thin fabric. 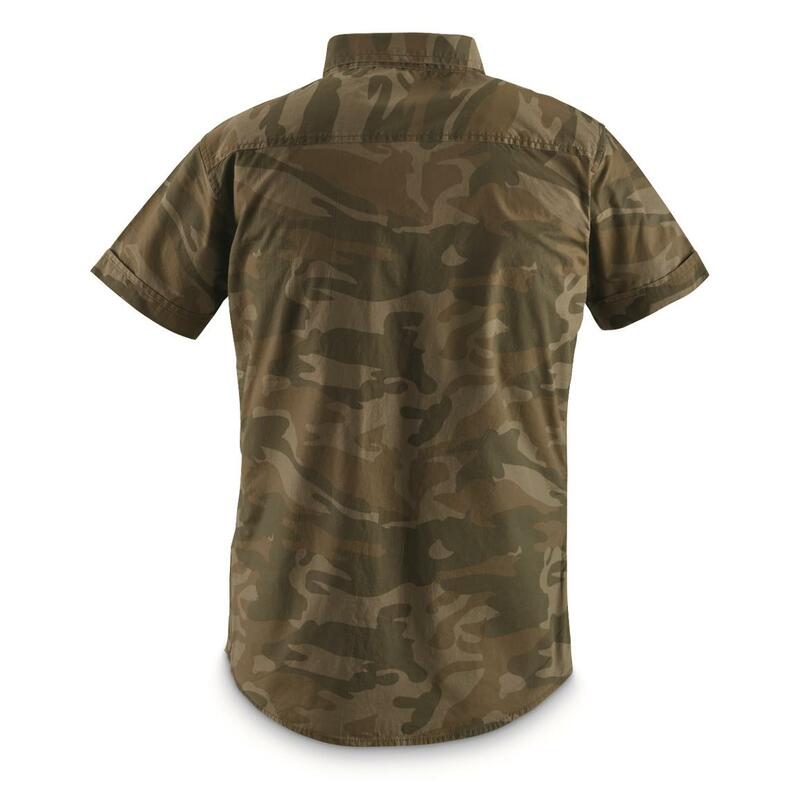 I do like the look of the shirt though and will probably try to get it in a size that fits me. 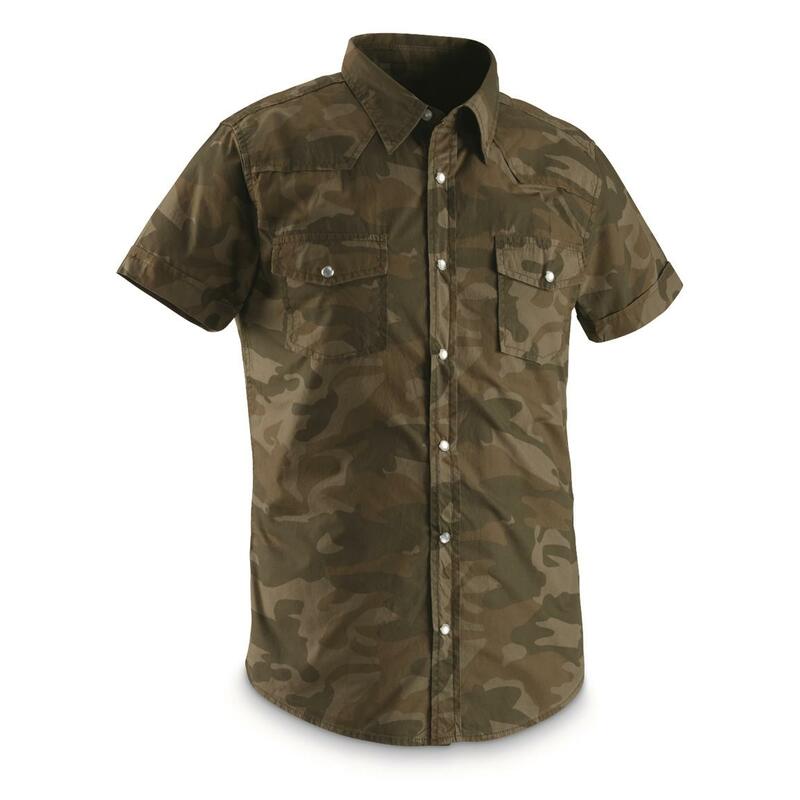 Rated 2 out of 5 by Ardyhar from Love pearl snaps and camo Love the idea of pearl snaps and camo but something is up. Ordered an XL. Shirt is factory marked 4 XL and someone crossed out the 4 with a marker. I would say it is barely a large at the top and gets skinnier toward the bottom as you snap it. I think I might try a bigger one because it is a unique shirt. Love the Sportsmans Guide not sure about the shirt however.